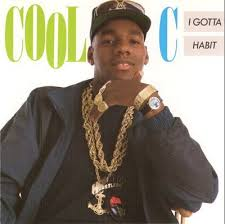 Philadelphia rapper Cool C will be executed today via lethal injection for the murder of Lauretha Vaird. Originally sentenced to die on March 9, 2006, however Pennsylvania's governor granted a delay of the execution. Today it is official. In January 1996, Philadelphia police received a call claiming a bank robbery was taking place at a PNC bank branch in Philadelphia. The robbers identified as Christopher Roney (Cool C), C.E.B group mate Warren Sabir McGlone (Steady B) & local rapper Mark Canty. Lauretha Vaird, first on the scene, was a local female Philadelphia officer who was gunned down during the bank robbery by Roney. Officer Vaird, an African American woman and the single mother of two children, was the first female Philadelphia Police officer slain in the line of duty.